Dimitri P. Bertsekas undergraduate studies were in engineering at the National Technical University of Athens, Greece. He obtained his MS in electrical engineering at the George Washington University, Wash. DC in 1969, and his Ph.D. in system science in 1971 at the Massachusetts Institute of Technology. Dr. Bertsekas has held faculty positions with the Engineering-Economic Systems Dept., Stanford University (1971-1974) and the Electrical Engineering Dept. of the University of Illinois, Urbana (1974-1979). Since 1979 he has been teaching at the Electrical Engineering and Computer Science Department of the Massachusetts Institute of Technology (M.I.T. ), where he is currently McAfee Professor of Engineering. He consults regularly with private industry and has held editorial positions in several journals. He has held editorial positions in several journals. His research at M.I.T. spans several fields, including optimization, control, large-scale computation, and data communication networks, and is closely tied to his teaching and book authoring activities. He has written numerous research papers, and fifteen books, several of which are used as textbooks in MIT classes. 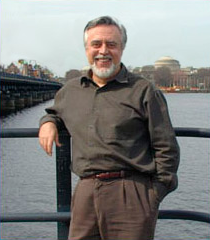 Professor Bertsekas was awarded the INFORMS 1997 Prize for Research Excellence in the Interface Between Operations Research and Computer Science for his book "Neuro-Dynamic Programming" (co-authored with John Tsitsiklis), the 2000 Greek National Award for Operations Research, the 2001 ACC John R. Ragazzini Education Award, and the 2009 INFORMS Expository Writing Award, and the 2014 ACC Richard E. Bellman Control Heritage Award. In 2001, he was elected to the United States National Academy of Engineering for "pioneering contributions to fundamental research, practice and education of optimization/control theory, and especially its application to data communication networks." Dr. Bertsekas' recent books are "Introduction to Probability: 2nd Edition" (2008), Convex Optimization Theory (2009), "Dynamic Programming and Optimal Control, Vol. II: Approximate Dynamic Programming" (2012), and "Abstract Dynamic Programming" (2013), all published by Athena Scientific. Besides his professional activities, Professor Bertsekas is interested in travel, portrait, and landscape photography. His pictures have been exhibited on several occasions at M.I.T., and can also be accessed from his www site. Convex Optimization Theory, Athena Scientific, May 2009. Abstract Dynamic Programming, Athena Scientific, April 2013. Introduction to Probability, Athena Scientific, 2002; 2nd Edition, 2008. Convex Analysis and Optimization, Athena Scientific, March 2003.
and has written numerous research papers in each of these areas.